An animal that eats both meat and plant materials. An animal that eats both meat and plant materials. Omnivores, such as grizzly bears, are able to consume and digest a variety of foods. They are often described as opportunistic feeders, as they will eat whatever's available. The mouse lemur – a small, nocturnal mammal native to Madagascar – has a diet that includes plant materials, such as leaves and nectar, and insects, such as moths and cockroaches. Other omnivores include rats, chickens and humans. 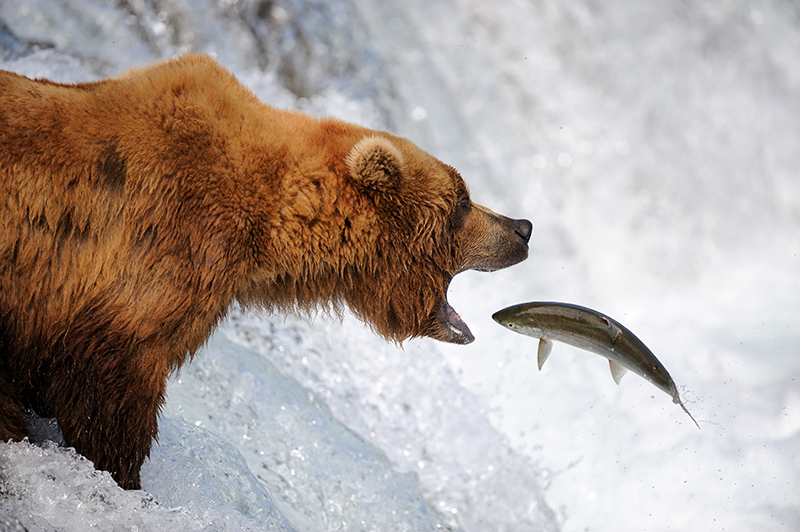 Omnivores, such as grizzly bears, are able to consume and digest a variety of foods. They are often described as opportunistic feeders, as they will eat whatever's available. The mouse lemur – a small, nocturnal mammal native to Madagascar – has a diet that includes plant materials, such as leaves and nectar, and insects, such as moths and cockroaches. Other omnivores include rats, chickens and humans.